Time for another batch of mini-reviews, with one film clearly standing out. Rashida Jones is one of the most underrated female actresses working today, so I was pleased to see her in the spotlight as co-writer and star of this film. In this, she plays the role of Celeste, a “trend forecaster” who is in the middle of a divorce with her soon-to-be ex-husband, Jesse (Andy Samberg). However, this isn’t your conventional divorce — the two of them remain best friends and hang out with each other all the time. This frustrates their friends, who call their behavior inexplicably weird. As Celeste & Jesse pursue other people, their friendship is put to the test, as maybe their feelings for each other haven’t quite subsided. The idea of a writer’s character coming to life is full of possibilities. For Calvin (Paul Dano), he has crafted his dream girl, Ruby Sparks (Zoe Kazan), who unexpectedly appears in his house one night. She provides a burst of inspiration for the struggling novelist, and he quickly finds out that everything he writes about her will happen in real life. This is a powerful ability to have, and in the wrong hands, this could spell disaster. So much has already been said about this Oscar-winning documentary that I pretty much knew the story inside and out before even watching this. 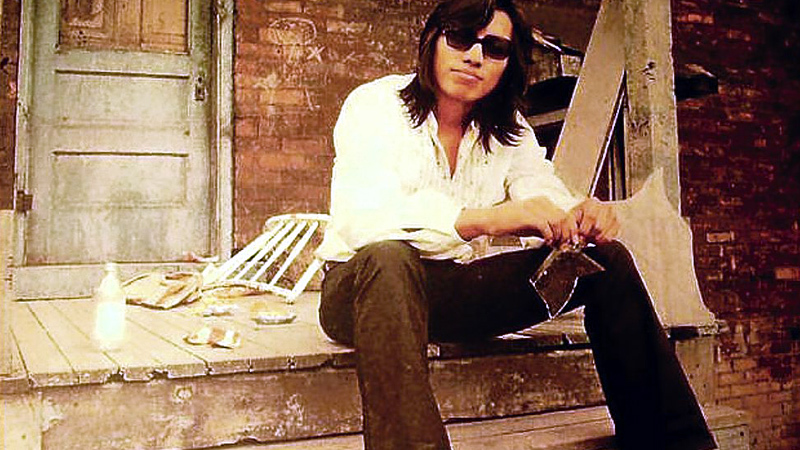 Yet despite knowing the story, I remained enthralled by the mystique of the little-known singer, Rodriguez. For the uninclined, the film tells the story of 70s rock-and-roll singer, Rodriguez, who released a couple albums to little fanfare in the U.S. yet managed to become a huge sensation in South Africa. The documentary takes a look at this bizarre phenomenon while also trying to find out what happened to the singer. There are all sorts of rumors about him in South Africa — some say he set himself on fire while on stage, others say he died of a drug overdose — but these tall tales only add to his aura. Loved it, man. I have no complaints about it winning an Oscar (though I still think The Imposter is better). I really need to see Searching for Sugarman. Nice reviews. It’s a great one. Thanks man. Three movies I’m been planning on seeing. Can’t wait to see Sugar Man. Sugar Man is the best of the group, easily. Hope you enjoy it! Haha yeah, it was a pretty harmless flick overall but just didn’t do much for me. Glad you enjoyed it though. I really need to see Searching for Sugarman soon, been hearing all kinds of great things about it and now you praised it as well. As for Ruby Sparks, I actually like it a lot but it should’ve ended 10 minutes sooner. I think it overstayed its welcome a bit, but I thought it was a terrific film about writers’ block, amazing that it’s Zoe Kazan’s screenplay debut. Did you know she’s Elia Kazan’s granddaughter? Yep, I did hear that about Elia Kazan. Pretty cool trivia right there. I agree that the film could have easily ended 10 minutes earlier — I could have done without the meeting in the park. Ah well, I thought it was a decent enough film, just not as good as it could have been. I think Sugar Man is next in my Netflix queue, so I’m even more excited to see it now! I agree Ruby Sparks was full of possibilities, expected more from that, oh well. Sugar Man doc was good. His story brought a tear to my eye, even though the unanimous praise of Rodriguez is a bit one-sided. I’m sure will help his star rise. One of my favorites of his is Crucify Your Mind. Yeah, I suppose Sugar Man was a bit one-sided, but I still think it painted a great portrait of the man and his legacy. I’m curious to see if he will put out any new material. Now’s the time to do it! Yeah, I wish I hadn’t known as much as I did before watching Sugar Man, but it was still very enjoyable. Just a well-made film overall. I’ve not seen any of these…you’ve done a great summary of them all. I’m surprised to see Ruby Sparks only get 6 – i’ve heard good things….but I’ll have to see for myself 🙂 ! Yeah, it sounds like a lot of people got more out of Ruby Sparks than I did. It’s not a bad film or anything, I just don’t think it lived up to its potential. Hope you enjoy it though! Ruby Sparks does look like one of those average movies. I read positive reviews for it but I’m in no rush to see it. Yeah, I’m honestly quite surprised to see so much praise for it in the blogosphere. Nothing about it really stood out to me. I enjoyed Ruby Sparks a bit more than you did I think. Not a great one, but pretty close to it in my book. Sure, it didn’t get as dark as it could have, but why did it have to? It’s a matter of taste rather than a comment on its faults as a cinematic piece. Fair enough. I was just disappointed that Ruby Sparks took the conventional Hollywood route near the end. Given some of its darker undertones throughout the film, I thought it had a chance to be something truly special. Glad you got more out of it though! Yeah, it seems I am in the minority on Ruby Sparks. You’re right, it did get a little dark in the middle, but I was just disappointed that it teased that darkness and didn’t really roll with it like it could have.